Quoted from the official Saba News Agency that the leader of the revolution, Sayyed Abdulmalik Badr al-Deen al-Houthi, met on Monday the United Nations special envoy to Yemen, Martin Griffiths. 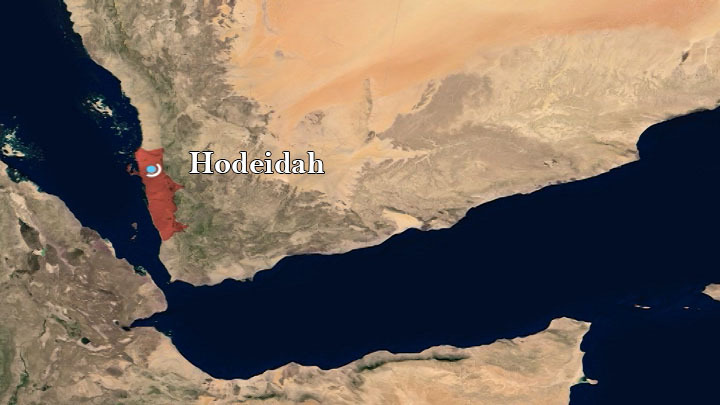 During the meeting, the Hodeidah agreement was discussed and the need to accelerate its implementation away from the obstacles created by the countries of US-Saudi coalition trying to impose terms outside the Swedish agreement. The leader of the revolution stressed the continued deterioration of the humanitarian situation due to the unjust siege, restrictions and arbitrary measures on the economy, trade and freedom of movement, especially the detention of oil derivatives vessels, and the attempt to impose economic restrictions, all that contribute to the increase of the situation of the tragic humanitarian situation as a collective punishment to all citizens without exception. He pointed out that the failure of the active role of the United Nations on the removal of these restrictions helps to continue as the most prominent of these restrictions the closure of Sanaa airport, the spread of diseases and stop work on the file of prisoners. Sayyed Al-Houthi referred to the abduction of women in the occupied territories by the forces of aggression, as well as the escalation of such practices without condemnation by the United Nations and its bodies and institutions. He pointed to the criminal and continuous targeting of children and women in repeated manner, noting that the silence applied helps cover the crimes of aggression and its continuity against the Yemeni people.